TeamOne Logistics welcome Page Siplon as our new CEO. We are delighted to have him on board! He takes over from Jerry Gray, Founder and President, who led TeamOne Logistics capably for the past 11 years, and is currently serving as Founder and Board Member. “In logistics, no matter the scale of your operation, your people can be a key asset in separating you from the pack. Especially for companies enabled by trucking, where large fleets often have annual driver turnover rates that top 100%,” caused in part because of complex federal regulations’ change in how and when drivers can operate, explains Siplon. 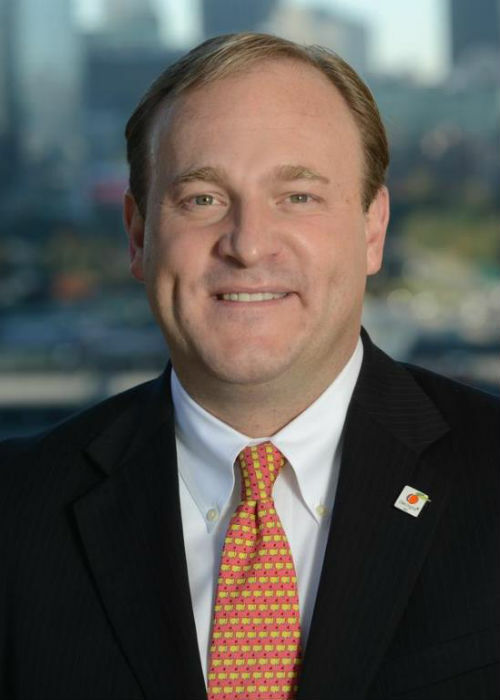 Previously, for over a decade Siplon served as the Executive Director of the Georgia Center of Innovation for Logistics, the State’s leading resource for fueling logistics industry growth and global competitiveness. The Center directly assisted companies with overcoming challenges and capitalizing on opportunities related to the movement of freight by providing focused technical expertise, specific industry data, leveraging of state resources, and connections to an extensive cross-sector industry network. As a frequently requested keynote speaker, Siplon is called upon to address a range of audiences on unique aspects of technology, workforce, and logistics. This often includes topics of global and domestic logistics trends, supply chain visibility, collaboration, and strategic planning. He has also been quoted as an industry expert in publications such as Forbes, Journal of Commerce, Fortune, NPR, Wall Street Journal, Reuters, American Express, DC Velocity, Area Development Magazine, Site Selection Magazine, Inbound Logistics, Modern Material Handling, and is frequently referenced in state-wide newspapers. Siplon is an active industry participant, recognized by DC Velocity Magazine as a “2012 Logistics Rainmaker” which annually identifies the top-ten logistics professionals in the Nation; and named a “Pro to Know” by Supply & Demand Executive Magazine in 2014. Siplon was also selected by Georgia Trend Magazine as one of the “Top 100 Most Influential Georgians” for 2015, 2014 and 2013. He also serves various industry leadership roles at both the State and Federal level. Governor Nathan Deal nominated Siplon to represent Georgia on a National Supply Chain Competitiveness Advisory Committee, where he was appointed to a two-year term by the U.S. Secretary of Commerce and was then appointed to serve as its vice-chairman. At the State level, he was selected by then Governor Sonny Perdue to serve as lead consultant on the Commission for New Georgia’s Freight and Logistics Task Force. Siplon honorably served a combined 12 years in the United States Marine Corps and United States Air Force. During this time, he led the integration of encryption techniques and deployed cryptographic devices for tactically secure voice and data platforms in critical ground-to-air communication systems. This service included support for all branches of the Department of Defense, multiple federal security agencies, and aiding NASA with multiple Space Shuttle launches. Originally from New York, Siplon received both a bachelor’s and master’s degree in electrical and computer engineering with a focus on digital signal processing from the Georgia Institute of Technology. He also earned an associate’s degree in advanced electronic systems from the Air Force College, and completed multiple military leadership academies.